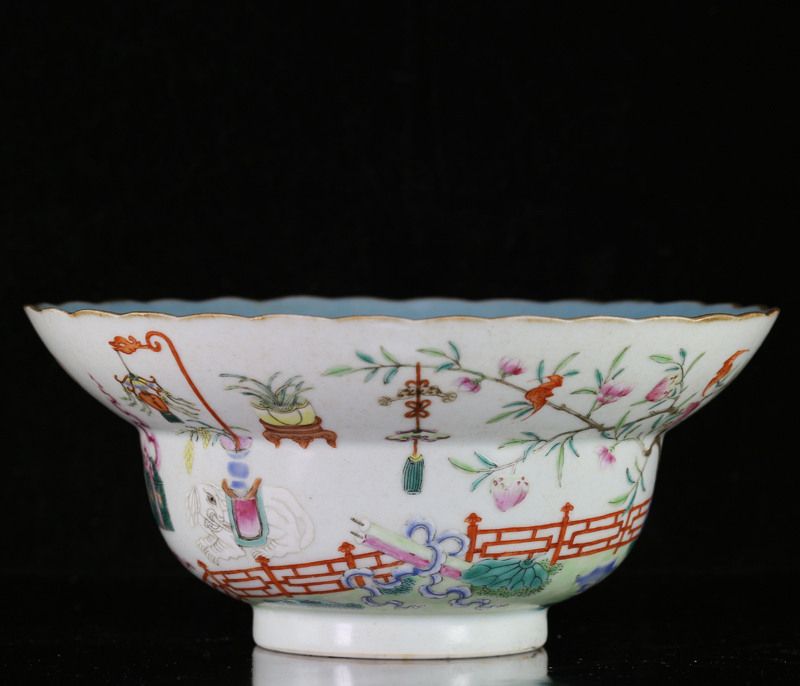 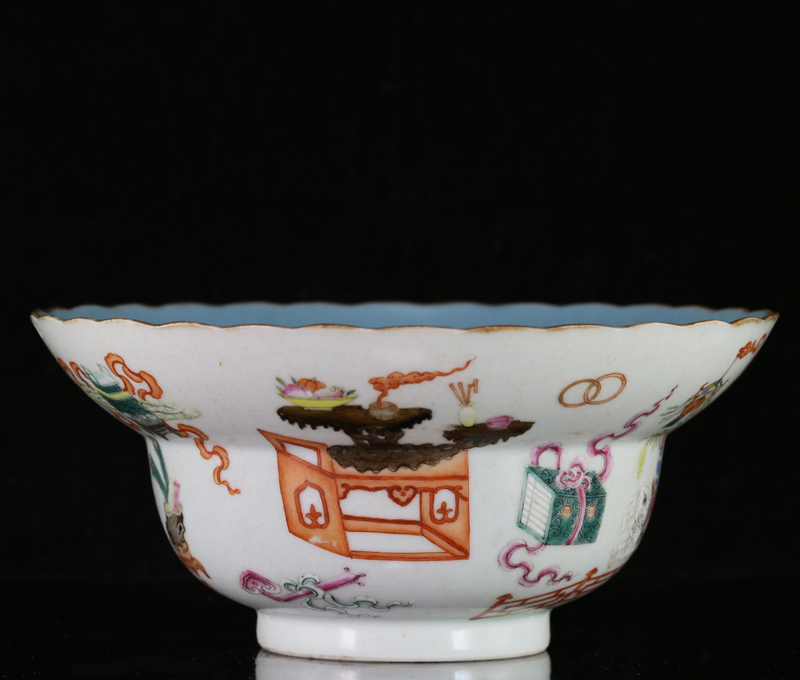 A large and rare ogee-form bowl, marked with a Jiaqing seal mark in iron red and of the period; interior glazed in turquoise, and gilt rim scalloped; excellently decorated in famille rose enamels with auspicious motifs. 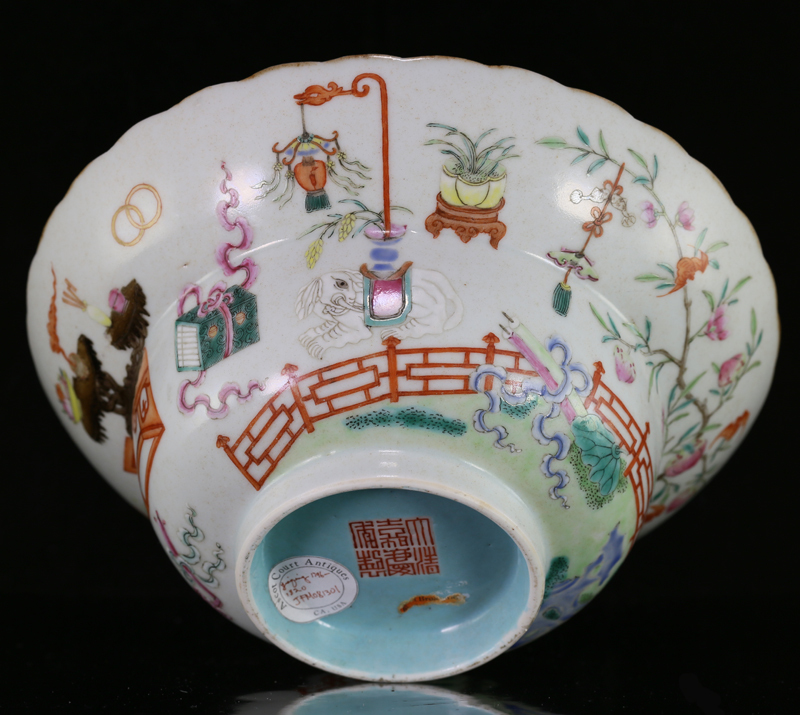 Beginning in the late 18th century, Chinese-taste famille rose porcelains featuring lavish medleys of auspicious themes were in vogue, driven by the Qianlong court’s demand for ever more ostentatious displays of power and splendor. 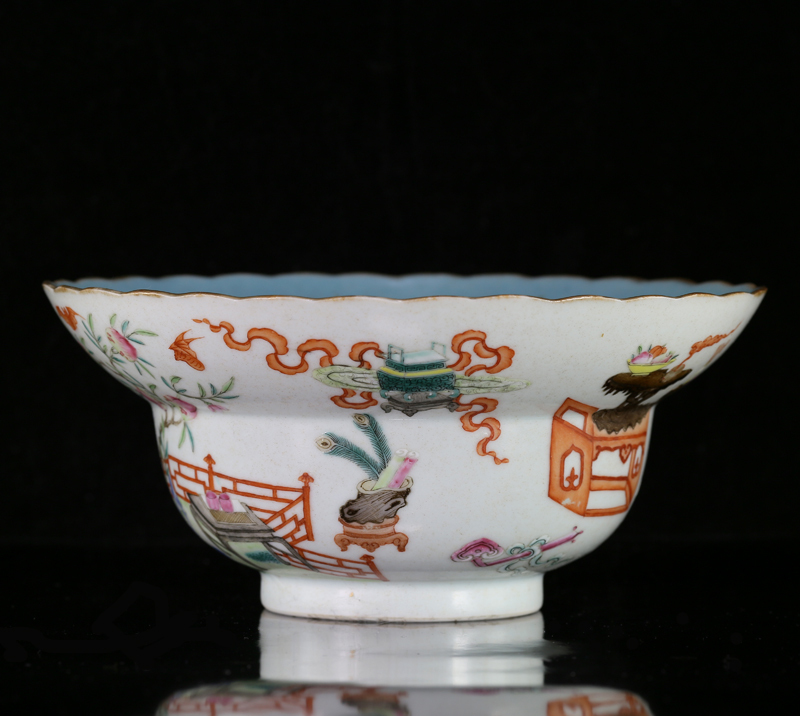 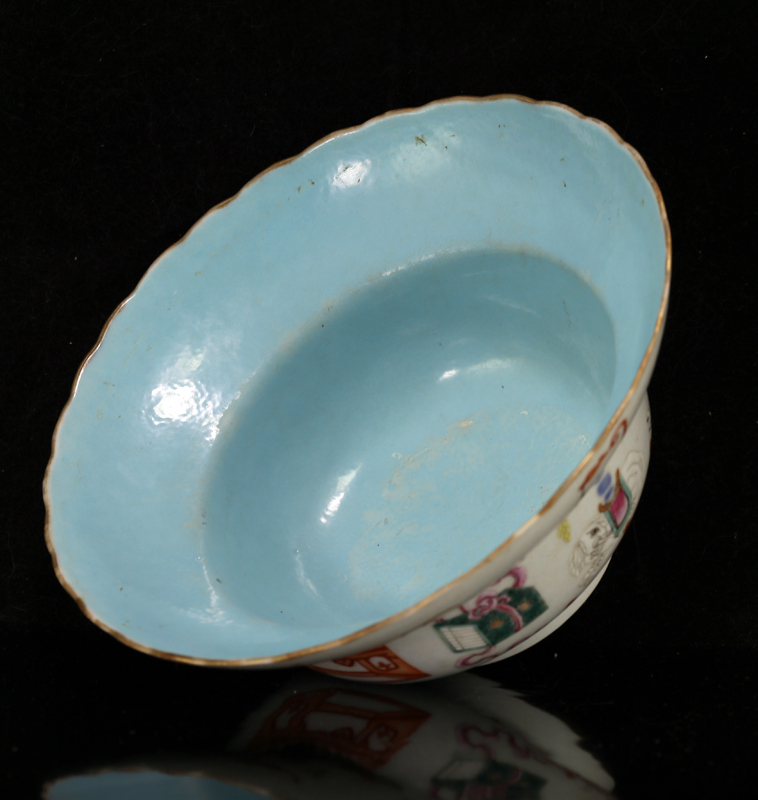 This particular bowl, made during the Jiaqing period, continues this Qianlong tradition. 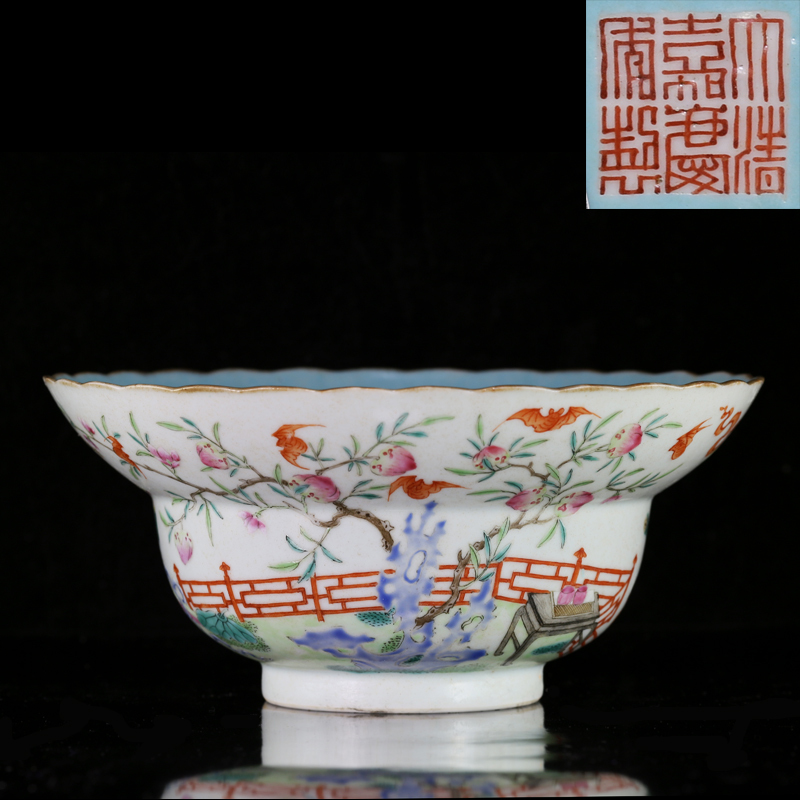 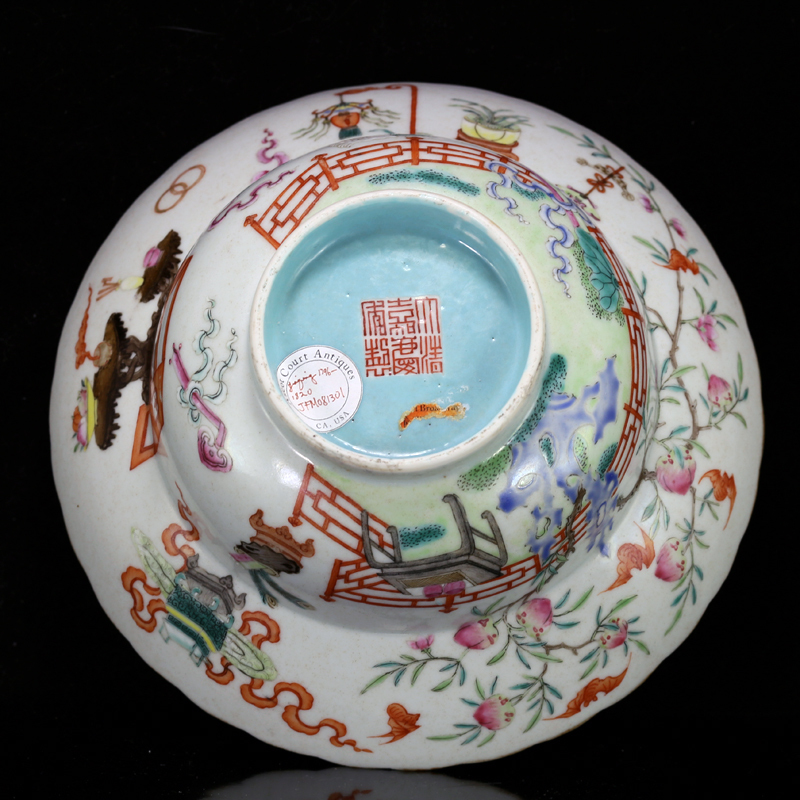 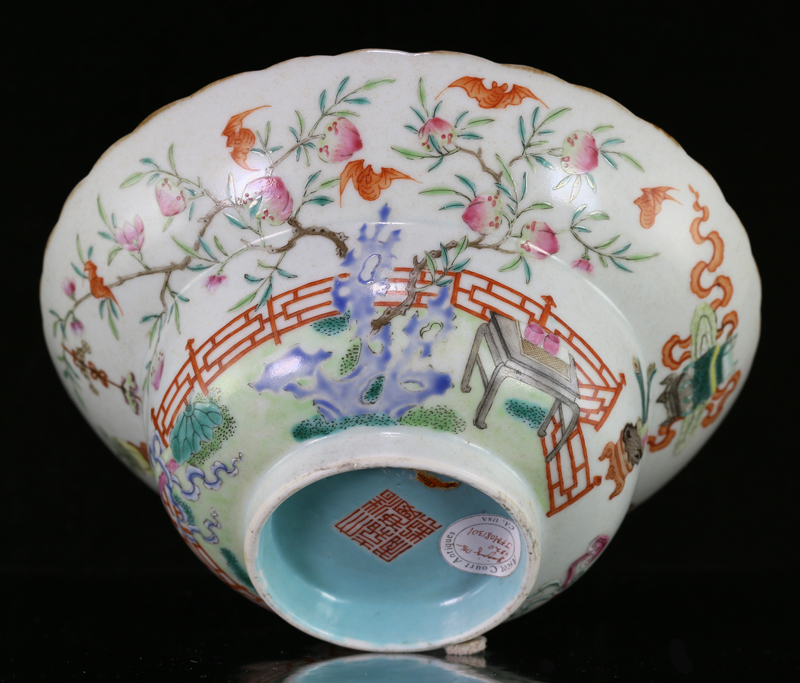 This bowl’s most prominent feature is a sprawling peach tree, encircled by flying bats; it conveys the message “fu shou shuang quan” (may blessings and longevity be complete in your life). 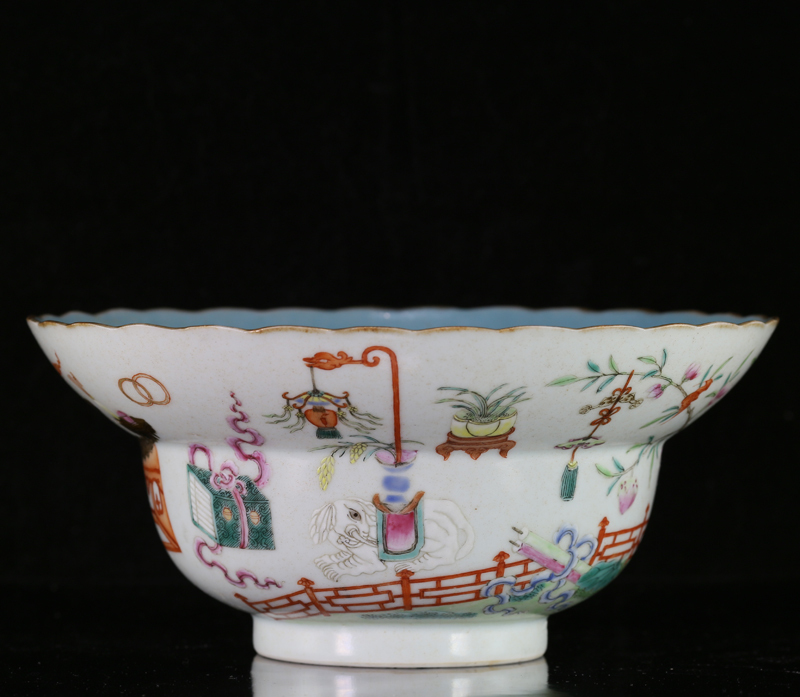 Other motifs include an elephant carrying a vase (“qixiang” – peace and serenity), an archaic tripod vessel (“ding” – stability and calm), and ruyi scepter (“ruyi” – may your wishes be granted).